Don’t forget! 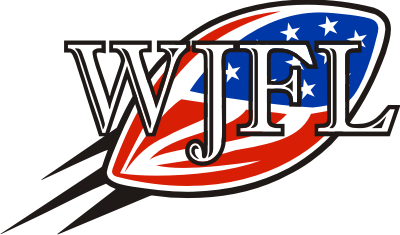 Sign-ups for the 2019 WJFL season will take place tonight Wednesday, April 3rd from 6:30-9:00 p.m. at the Lakeview Football Fields. Bring a friend along to sign up as well!! Celebrating our 31st year serving the Washington community!! 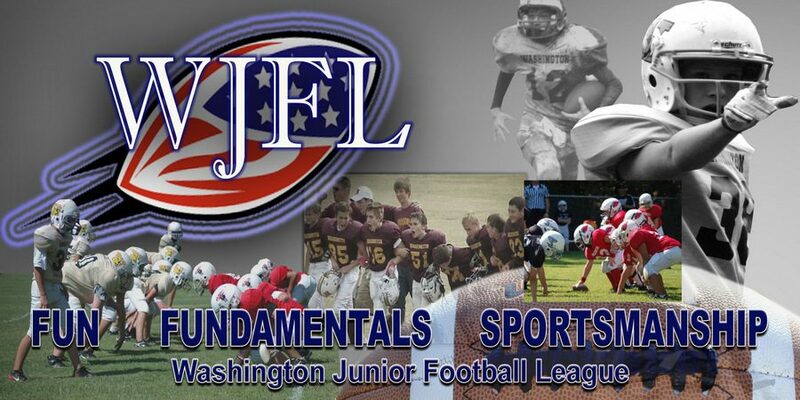 On-line Sign-ups for the WJFL 2019 season are now open! Go to wjfl.org to sign-up – the “sign-up” tab is on the main information bar. Encourage a friend to sign up with you! WJFL is open to any student residing in the Washington School District or attending a private/parochial school within the district boundaries who will be in the 4th – 8th grade next year. 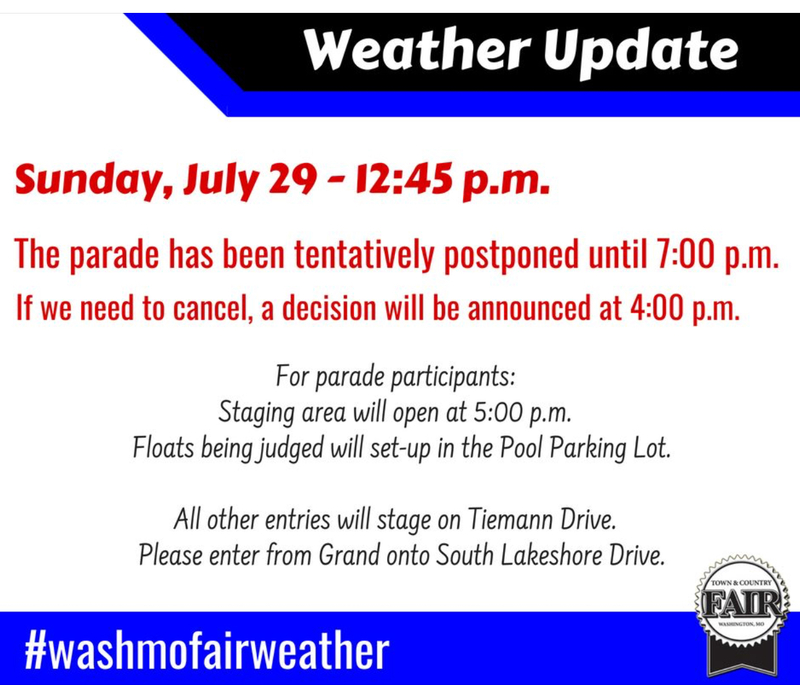 Students residing in districts not participating in the 4-Rivers YFL or in a MSHSAA affiliated district are also eligible to participate in Washington. Sign-up fee is $175. Family discounts and financial aid are available. The fee includes all equipment but shoes. All equipment is the property of WJFL. If you prefer in person sign-ups will take place Wednesday, March 27th and Wednesday, April 3rd from 6:30-9:00 p.m. at the Lakeview Football Fields (on Grand next to the YMCA). 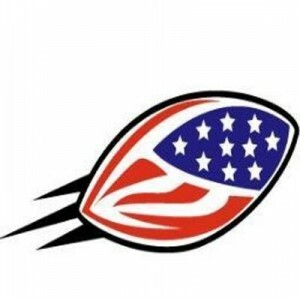 For the safety of our participants WJFL and 4-Rivers YFL are 100% certified USA Football Heads Up leagues. All coaches are certified to teach the safest tackling and blocking methods and are trained in health, safety and fundamental techniques. WJFL uses certified top of the line safety equipment, with a certified sports trainer attending all home games. More information is available at: wjfl.org or by emailing league president Mike Newbanks at mnewbanks@wjfl.org or calling 314-795-1727. 2018 Season is Upon Us!!! Celebrating our 30th year serving the Washington community!! The WJFL pre-season camp is this week July 17, 18 & 19 7:00 – 8:30 pm. ALL GRADES each night at the Lakeview Football Fields. If you did not check out equipment last week at issue, please show up to camp at 6:15PM to check out equipment and get fitted for your Jersey. The first 2 nights of camp will be helmets, t-shirts, shorts only and the 3rd night will be helmets, shoulder pads, shorts. All players should bring their own personal water container. The WJFL concession stand will be open for drinks and snacks. If there is inclement weather please go to wjfl.org to check on cancellations. A certified sports trainer will be on sight every night of the camp. If you know of anyone still wanting to sign-up we will be taking late sign-ups at Lakeview field prior to camp each night next week. Players will be contacted within a week about their first practice. Practice can begin the week of July 23th. Each team/grade level is responsible for thier practice plan. AGAIN, IF YOU HAVE NOT PICKED UP YOUR EQUIPMENT, PLEASE COME TO THE FIRST NIGHT OF CAMP AT 6:15PM TO GET YOUR EQUIPMENT/JERSEY FITTED. The WJFL season officially starts this week!!! We wanted to send out a reminder about equipment pick up this week and camp the following week. Equipment pick-up July 11 or 12 6:30 – 9:00 pm. At Lakeview Football Fields. You will be issued your helmet, shoulder pads and pants at this time. Jersey’s will be issued after practice begins. Player must be present to insure proper fitting of equipment. 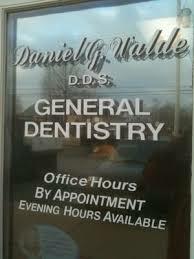 You can come anytime between 6:30 – 9:00on either date. Late sign-ups will be taken on July 11& 12, 6:30-9:00 pm during equipment pick-up and July 17 – 19 during pre-season camp. On-line sign-ups are available at anytime at wjfl.org. Pre-season camp July 17, 18, 19 7:00 – 8:30 pm. for all grades at the Lakeview Football Fields. After the pre-season camp you will be notified by your coach concerning the first team practice. We can’t wait to get the season rolling. Signup / Registration forms have been posted for our Annual Wine Crawl on May 19, 2018 and our 9th Annual Golf Tournament on June 22, 2018. Both events are a great time, and add much needed funding to operate our league. Thanks everyone!! In person signups went well, other than the weather, and online signups are continuing to come in at a steady rate. Our rosters are filling out nicely!! As a reminder, we’re fielding teams in grades 4 through 8 for the fall season. 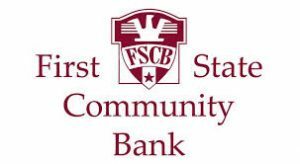 Don’t miss an opportunity to join us, establish long term relationships, and make a lasting impact on our great community. Folks have been doing so for 30 years and counting.